Can you Guess these Cities Based on their Nightly Airbnb Demand? 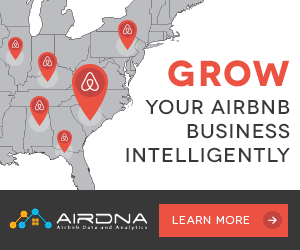 Airdna has analyzed the daily demand for Airbnb in every city in the United States. Can you guess these cities simply by looking at the spikes in demand throughout the year? Special prize goes out to anyone that gets all three correct. Leave a comment with your guess. Get them all correct and we’ll send you a free AirDnA City Intelligence Report for your city of choice. UPDATE: Please note, this contest is now closed. Airbnb recently released some long overdue calendar enhancements that few hosts are taking advantage of. Did you know you can set different minimum night stays for the summer, or only receive reservation requests for bookings in the next 6 months? While providing consulting to some large Airbnb hosts, I’ve been surprised that no one is fully utilizing these calendar options. Wouldn’t it be nice to only receive reservation requests for a week or longer during the summer time while still filling your calendar with shorter term reservations in the current month? Under 10% of hosts with multiple properties are utilizing the instant book option. In order to increase adoption, Airbnb has introduced the following calendar enhancements. There is nothing more irritating than someone booking a one night stay over a long holiday weekend. Airbnb has heard our demands and implemented a solution. You can now set minimum night requirements that are different for each season. This is useful for filling your peak season with longer stays. Currently, I’m only accepting 5-night stays over the summer. This will save me countless hours managing my place during the peak season. How long does it take to get your place ready after you receive a reservation? Nothing is more troublesome than someone booking your place at the last minute and expecting your property to be fully prepared. The best hosts organize cleaning as soon as a guest checks out. But, for the rest of us, this new Airbnb option is a godsend. Under your instant book tab, select how many days, or hours, you need to prepare your place for last minute guests. How many of you have received reservation requests for dates that are for over a year in the future? I know I have, and for me, it’s impossible to guarantee that my properties will still be available that far in the future. Worse is when someone uses instant book to book your place for a year in advance and you have to cancel the reservation thus incurring a cancellation fee. Those problems have been solved by the “distant requests” option. This allows you to only accept reservations 3,6, or 12 months into the future. Here’s one of the biggest tricks of the trade that under 10% of hosts are currently utilizing. Set your advertised night rate 10%-20% cheaper than your actual nightly rate. Let’s say my place typically books for $225 per night. I set my advertised nightly price at $199 and then use the calendar pricing tool to change the price for everyday over the next year to $225. I then go in and adjust holidays and weekend pricing accordingly. Airbnb displays only your advertised nightly rate when guests are searching for a place without specified dates. It is not until someone views your property and enters the days of interest that the actual nightly rate is calculated. If they love your place, there is no doubt that they’ll pay a slight premium to stay there. In response to the high demand for data outside of the USA, AirDnA has added analytics for over thirty of the largest international Airbnb destinations. Here is the list of cities added that now have free and premium reports available. AirDnA began as a tool to help current Airbnb hosts better assess their competition and help optimize their current listings. We underestimated the demand of ‘rentalpreneurs’ that are actively looking to acquire vacation properties as investments. Tremendous demand has been seen for the need to assess different Airbnb markets to identify the most lucrative location to acquire a new vacation rental. In response, we’ve continued to add metrics that reflect the seasonality of different cities and the expected annual earnings of Airbnb properties across the globe. * Airbnb listing growth trends. We are constantly working to improve our actionable data and will continue to provide insights into untapped markets where buying or renting a property is disproportionately cheaper than what it can earn as a full-time vacation rental. Residents of the 30-plus cities hosting college bowl games this year are cashing in. They are renting out their homes to traveling football fans via Airbnb. With one million listings in over 34,000 cities around the globe, Airbnb has created the largest and most trusted platform for converting your home into an instant rental property. Using Airbnb, anyone with an Internet connection can compete for the same tourist dollars that the large hotel chains fight for. The number of available Airbnb rentals, as well as the demand that exists for them during this year’s big games, varies significantly by city. Two of the biggest bowl games, the Rose Bowl and the Sugar Bowl, provide some of the most interesting insights into the popularity of Airbnb. 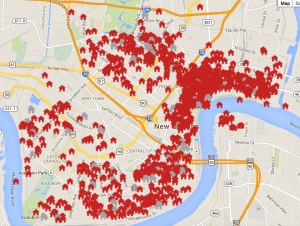 New Orleans, which hosts the Sugar Bowl, has over 869 homes currently listed on Airbnb. The accompanying demand is sky-high, with 94% of these homes already booked for the big game. The median price for the remaining properties is $350 per night for the eve of the big game. The influx of football fans coupled with heavy holiday travel has created a frenzy of bookings for New Orleans vacation rentals. Pasadena, California hosts the Rose Bowl and Rose Parade on New Year’s Day. It is already seeing a significant spike in demand for January 1st, with 79% of available Airbnb listings reserved. There are only 86 total listings in the Pasadena area, but homes close to the Rose Bowl are currently fetching over $1,000 per night. 1,500 of the top Airbnb hosts descended upon San Francisco this past weekend to attend the first inaugural Airbnb Open, a free conference held by the shared economy giant. Limited information leading up to the event created excitement about potential new products and big company updates. Unfortunately, the event didn’t live up to the hype for me. 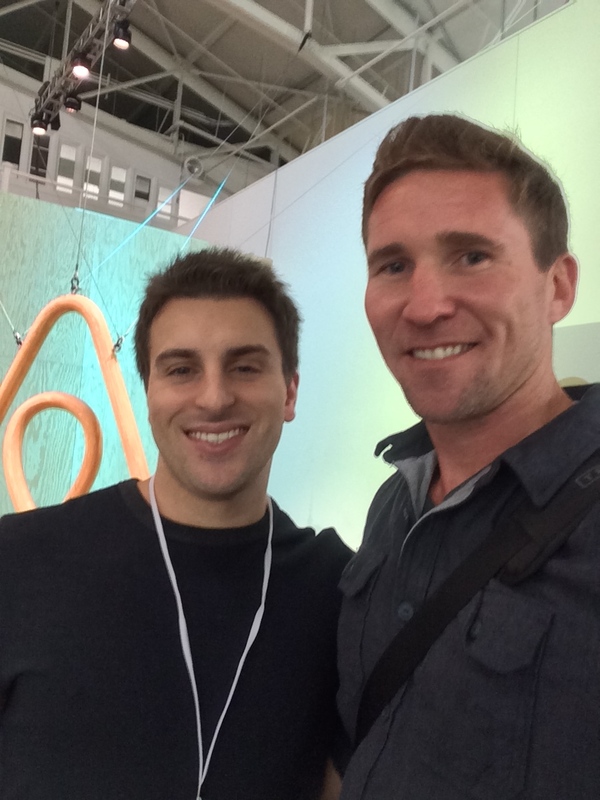 Too much pep rally and too few insights into what’s next for Airbnb and the sharing revolution. The trio of founders Brian Chesky, Joe Gebbia, and Nathan Blecharczyk presented incredibly well. They came across as a diverse team with unique skills and personalities. A team that can steer this ship into the future. Their ability to hire top talent, particularly in Marketing and Regulatory Affairs, is a great sign for the future of the firm. Airbnb vocalized a commitment to treating each of its hosts like partners and less like customers. The first step towards this goal started at the conference. 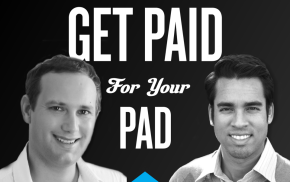 The company seems committed to involving their top hosts in the development of new product features. I was struck by the diversity of hosts at the event, young, old, tech savvy, and computer illiterate. It gave me a new appreciation for the simplicity which they have to build into a system that can be used by the masses. Calendar Improvements: To make managing availability easier. Pricing Tool: To understand how much to charge to get additional bookings. Messaging Tool: To make it easier to manage inquiries. Demand data: To help understand business trends. Faster Mobile: Improve the mobile application. It’s easy to forget what a global force Airbnb has become. The largest opportunities for growth exist abroad. Here are some insights that they shared about their global growth plans. China will drive half of the industry growth in the next 5 years. In Asia, they will be focusing on growing the markets in Japan, Australia, Singapore, Hong Kong, and Korea. London has not adopted the movement as quickly as other markets, Airbnb will be marketing to create awareness there. Focus on domestic travel within the US. I’ve had the pleasure of hosting the CMO of Airbnb, Jonathan Mildenhall, at my place in Santa Monica. He is a bigger than life personality with ideas to match. The most inspiring moments of the 3-day event came from viewing the advertising campaigns that are in store for the coming months. The marketing team has demonstrated the ability to sway citizens and politicians with the positive impact of the shared economy movement. They are building the brand based on actual user experiences. They are calling this the world’s first collaborative brand. Ever wondered why Airbnb doesn’t help you set better prices for holidays, or show you how your property is performing compared to your neighbors? Wouldn’t it be nice to know what the typical cleaning fee is for your type of place, or what the average occupancy rates are in your area? I’ve decided to fill the knowledge gap, grab the data, and answer all of the questions I’ve encountered running an Airbnb business over the past two years. Can I make more money by increasing my weekend rates? What exactly are my neighborhood’s high, mid, and low seasons? Does charging a deposit lower my chances of getting bookings? What is the average cleaning fee for a two bedroom apartment? How many more inquiries will I receive with a 5 star rating vs. a 4 star rating? What is the average occupancy rate in the summer for my city? What is the standard discount for weekly and monthly bookings? 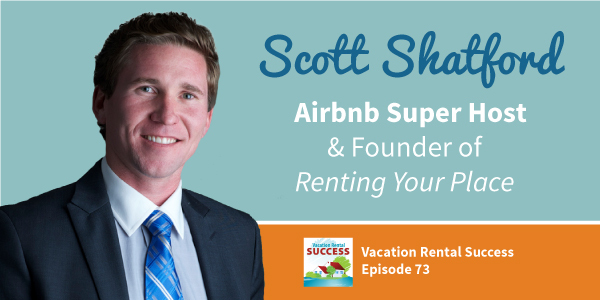 Electricity, heating, internet, and cable TV may seem like unavoidable expenses for running an Airbnb business. Most Airbnb hosts believe they have limited options for reducing monthly bills and that usage fees are left up to the mercy of the renter. But the fact is there are numerous choices and investments you can make to reduce your Airbnb utility bills by up to 50%. Below are some tips on how to reduce your basic monthly utility bills. Switch Service Providers. Use ChooseEnergy.com to view your service provider options. Go Solar. Prices have dropped dramatically for Solar panel installations. Buy compact fluorescent or LED lights and replace those inefficient incandescents. Use a temperature controller such as Nest to manage usage remotely. Don’t heat/cool the entire house. Keep the main living area temp controlled, but leave extra space on manual. Reduce usage speed. 15Mps is fine for streaming online video. Don’t get up sold to more expensive plans. Get your own router. Many companies are charging up to $8 per month for router rental. You can find one online for under $20. Link up with neighbors. If you are getting full signal from a neighbor, contact them. You’d be surprised how many people are interested in splitting their bill. Cut the cord on traditional cable. Buy a Roku and Digital Antenna and say hello to the future of in-home entertainment. I was able to reduce monthly utility bills at a 1-bedroom apartment from $320 to $150 a month by following these tips. How much can you save? I was laid off from my high paying corporate job at the beginning of 2013 and, against the advice of my colleagues, I booked a one way ticket to Bangkok to explore the world. Instead of packing my stuff up in storage while I was away, a neighbor recommended that I list my Santa Monica apartment on Airbnb. I snapped a few photos with my iPhone, created a listing, recruited a friend to manage the apartment in exchange for free use of my SUV, and away I went! Within a week I was flying over the Pacific, nervous that I had just opened the doors of my home to a bunch of lunatics. I got my first booking just two days later from a sweet retired couple from Wisconsin. Upon hearing that I was in Southeast Asia they proceeded to send me pages of recommendations from their trip to Thailand the previous year. I was instantly reassured that this world is full of interesting and trustworthy travelers. Within three weeks I had six different guests come and go without incident and I had already earned enough money to cover my $3,000 rent for the month. Returning to Santa Monica a few months later, I decided to further postpone the 9-5 grind and see if I could support my new lifestyle by continuing to rent my one-bedroom apartment full-time on Airbnb. My girlfriend was nice enough to welcome me into her cramped apartment with only a couple bags of clothes and a vision. Using skills I had acquired from my previous life in corporate operations I began analyzing the business. Cutting utility costs, automating check-in processes, and improving my pricing until I was able to see $6,200 in income each month while reducing my work to less than 4-hours a week. 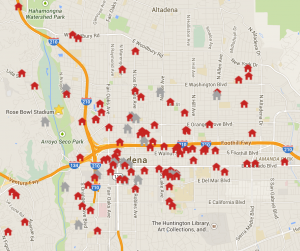 See how much your place is worth on Airbnb! I had proven that I could make a significant profit from an existing apartment that was already furnished. But would it work to rent and furnish another apartment just to list it with Airbnb? After a month of researching and number crunching, I decided to pull the trigger and rent a high-end penthouse apartment for $3,695 a month. I made my money back on that investment in less than four months and am now profiting $7,000 each month. Without owning any property, I’ve received rental income of $156,800 and a profit of over $66,000 in one year. It seems unreal when I calculate my new hourly income of $319 per hour. I don’t think corporate America is going to be paying me that much any time soon.